The Dutch National Ballet company presents a brand new ballet influenced by the Brothers Grimm story of Cinderella and choreographed by Christopher Wheeldon. Wheeldon has created an enchanting ballet set to Prokofiev's magnificent score but it's the "enthralling" sets (New York Times) by Julian Crouch which make Act 1 a "triumph of fantasy" in which "Cinderella's slipper rises into the air and hovers, dreamlike". There are twists on the traditional narrative with a fleshed out backstory for the lead characters. And the result is a "winningly charming" production; the "most dramatically convincing Cinderella in ballet, a triumph of storytelling and stage design firmly in touch with the 21st century" says the Financial Times. What are the best dining options near Dutch National Ballet: Cinderella London? 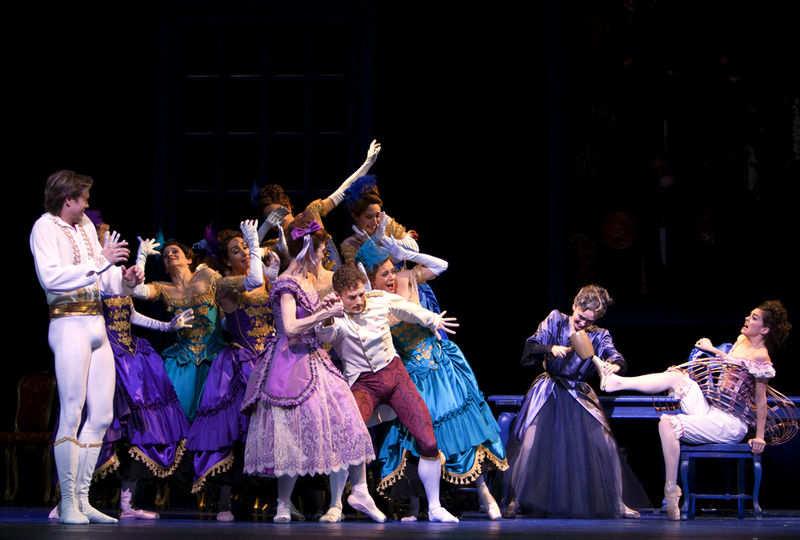 Dutch National Ballet: Cinderella gyms, sporting activities, health & beauty and fitness. The best pubs near London Dutch National Ballet: Cinderella. Dutch National Ballet: Cinderella clubs, bars, cabaret nights, casinos and interesting nightlife. Where to have your meeting, conference, exhibition, private dining or training course near Dutch National Ballet: Cinderella. From cheap budget places to stay to luxury 5 star suites see our special offers for London Coliseum - English National Opera (ENO) hotels, including Radisson Blu Edwardian Hampshire Hotel from 89% off.